Plymothian Transit: twenty five thousand! Claire Pendrous has been posting some brilliant photos on Flickr recently and I have had my eye on this one since the day she posted it. 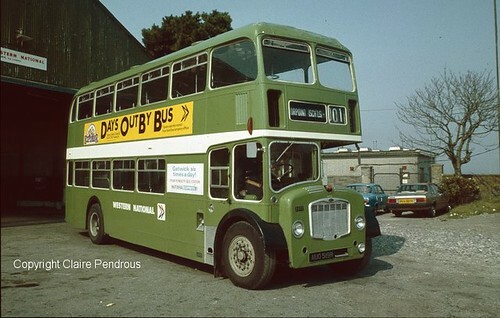 One of the wonderful Bristol Lodekkas AUO519B seen at Torpoint back in 1982. I am posting it here as a treat for myself more than anything to celebrate visit number 25000 to this little blog. I would never have thought this possible when i started! Thanks to all the regular visitors to this blog!